We are giving away four copies of Entertainment Weekly’s The Ultimate Guide to Outlander (Collector’s Edition). Have you been living under a rock and know nothing about this? Check out our post on this special edition, and also view our video below giving you a detailed look at what is inside. You may enter to win one of the four copies via the below Rafflecopter box for three different entries. 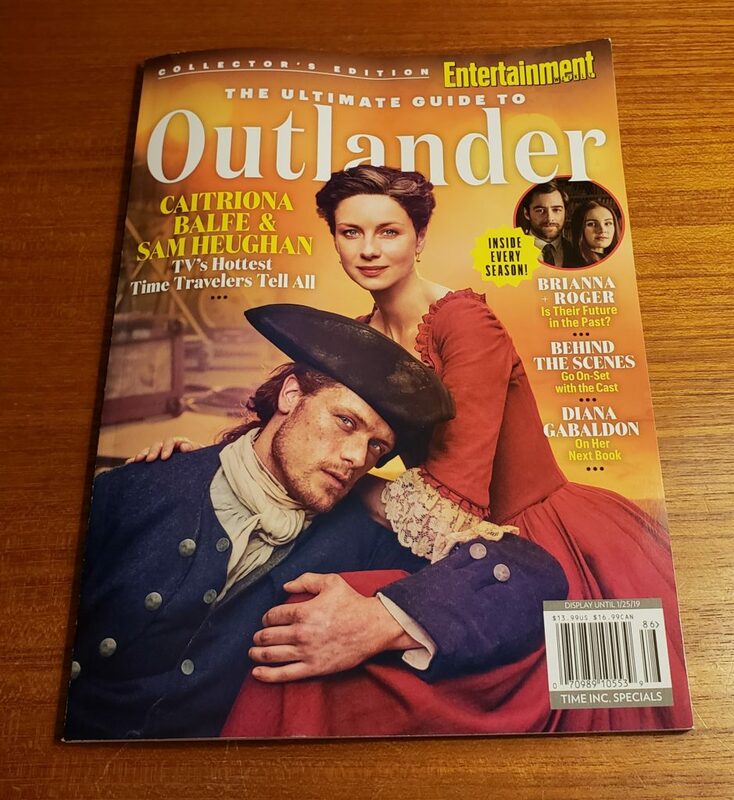 For an additional entry (or if you are not on social media), please send your full name and mailing address with the subject “International Giveaway Mag Issue” to outlandertvnewsgiveaway [at] gmail [dot] com. Please enter via each method only once, which leaves you with a maximum of four entries for this giveaway. Any duplicates will disqualify you. The giveaway begins 12/29/2018 at midnight (Central Time Zone) and ends on 01/08/2019 at midnight. Four winners will be chosen at random at the end of the giveaway period. Once emails are sent to winners, you have 24 hours to respond. If you do not respond, another winner will be chosen. This giveaway is not sponsored by Starz, Sony, or Entertainment Weekly. This entry was posted in Merchandise and tagged Entertainment Weekly, Giveaways by Sarah Ksiazek. Bookmark the permalink.